HEBRON, Ky. — Customs agents in Greater Cincinnati found 10 pounds of heroin hidden inside two candles, part of a shipment of items from Malaysia listed as "praying items." 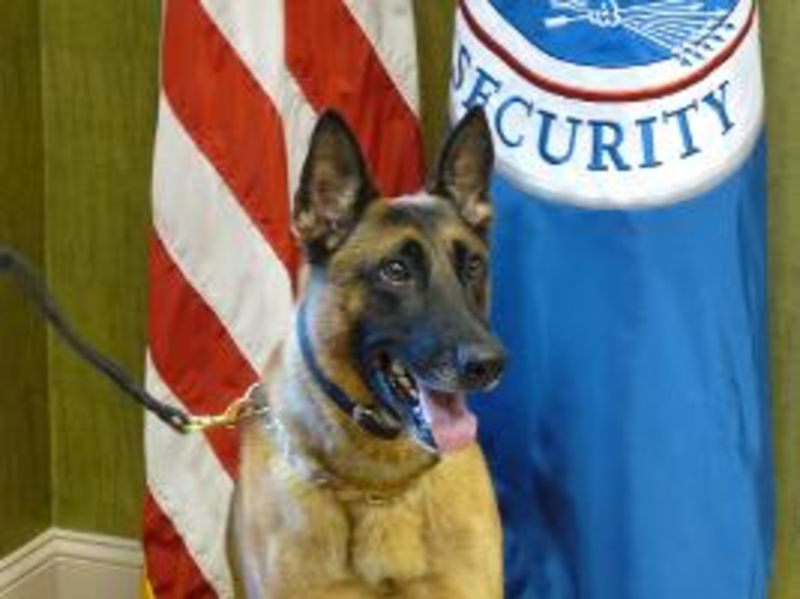 Narcotics dog Freddy sniffed out the drugs in late June; an X-ray scan led agents to open the shipment and find two bags of a brownish powder inside the candles. They tested positive for heroin, according to a news release from U.S. Customs and Border Protection. "This is a pretty significant seizure. We generally will get heroin seizures or other hard narcotics seizures several times a week, but this is a particularly large one," Cincinnati Port Director Richard Gillespie said. He estimated the value of the heroin to be about $400,000. Hamilton County Coroner Lakshmi Sammarco said the seizure shows how much heroin is moved through the Tri-State. She estimated officials catch less than 5 percent of the drug before it goes to market. "That’s a whole lot of heroin for a whole lot of people — that’s what it comes down to," she said. The shipment customs agents seized was destined for Ontario, Canada. But Ohio has had an outsize problem with heroin in recent years, prompting attention from local police departments, nonprofits and lawmakers in Columbus and Washington. "It’s become so lucrative that it dehumanizes the entire industry," Sammarco said. "For the people moving it, they don’t care how many families they are devastating. They don’t care about the lives that they’re wasting." Accidental drug overdoses have killed more Ohioans than car crashes since 2007. A record 2,482 people in Ohio died from accidental overdoses in 2014, an 18 percent increase over the previous year. For the nation, overdose deaths last year surpassed 47,000 -- up 7 percent from the previous year. That's the most reported in the nation since at least 1970, according to CDC records. The count includes deaths involving powerful painkillers, sedatives, heroin, cocaine and other legal and illicit drugs. Especially dangerous is heroin mixed with fentanyl, a synthetic prescription painkiller 100 times more potent than morphine and typically prescribed to patients suffering a terminal illness. Customs agents in Cincinnati seized a shipment of a fentanyl variant called furanyl fentanyl coming from China in May. The shipment was addressed to a residence in New Jersey. Fentanyl abuse caused a sharp spike in deaths in Southwest Ohio last year, and this region has emerged as the worst spot in the country for it. In Hamilton County alone, fentanyl was a factor in the deaths of 344 people last year, according to the Hamilton County coroner's office. That’s more than double the deaths from 2014, when 126 died. "This drug addiction does not know any economical boundaries, it doesn’t know any social boundaries, it doesn’t know any ethnic boundaries or any boundaries," Sammarco said. "It’s affecting everybody in every community. It’s affecting the Indian community. It’s affecting the Jewish community. It’s affecting the Islamic community. Everybody."